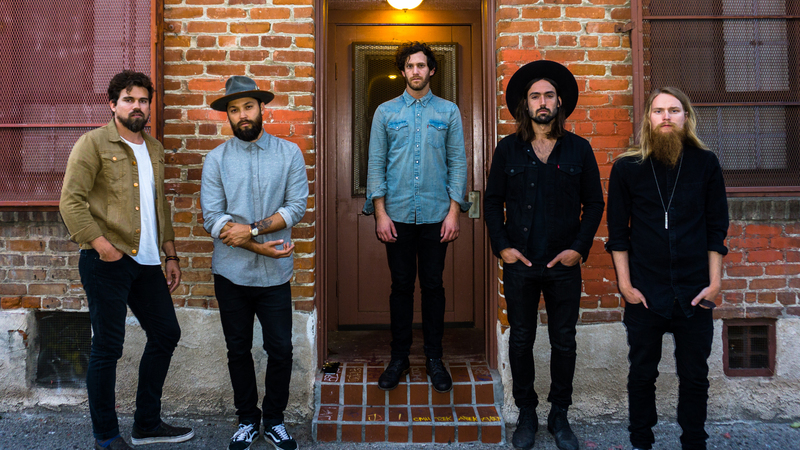 Grizfolk are no strangers to traveling. Not only do they hail from different corners of the globe, but the electro-rockers also delve into themes of wandering and exploring in their music. Currently based in Venice, California, the quintet use their eclectic backgrounds to create a global sound that’s universally beloved. While they may be natural-born adventurers, the five piece rely heavily on one thing to make sure their travels go according to plan: Yelp. While they're on the road for their US tour, we caught up with the guys to find out the destinations that they found on the app that made their 2017 touring bucket list. From their favorite BBQ destination to the best no-frills burger spot, check out all their picks below! "Even though Philly is my hometown, one time on a past tour I needed something quick within walking distance after soundcheck so I opened up Yelp to see what was nearby. I ended up at Prohibition Taproom and was very happy with both the beer selection and the food. Roasted Beets, Deviled Eggs and the Pro-Tap Burger = a happy drummer." "It seems like every time we visit NY I find a new favorite place to hang, drink, eat, shoot photos. It’s a city that has few equals in that respect. I’ve become a ramen fiend in the last few years, and while searching and asking around for the best in town, we happened into a place called Ippudo. There’s often a wait but it’s well worth it. Easily top 3 ramen places I’ve been in this country." "Another Yelp find and another pre-show staple for us on tour: The Daily Catch in Allston. Tucked away on Harvard Street very close to Great Scott, some of the best seafood around and possibly the best mussels marinara of all time." "It’s become pretty famous, and it’s a little bit south of the city but whenever possible I love to stop in to Loveless Cafe. I’ve never had better homemade biscuits and jam, honest to Lon. It’s got more southern charm than you’ll know what to do with, but thankfully you don’t have to do much but enjoy a coffee and one of the best breakfast experiences in the country." "If there's a single type of cuisine we've had the most of on tour, it's BBQ. That's why we're excited to try Midwood Smokehouse. Four-and-a-half stars rating on over 1,000 reviews is as close to a sure-thing as you can find on Yelp." "One of our best and strangest nights on tour was in Atlanta. We’re friends with Josh McDermitt, who has played Eugene in The Walking Dead, and also starred in our music video for Troublemaker. They have filmed a lot of the show in Atlanta, and that night it worked out that they had a break from filming, so he dropped by to see the show with Steve and Michael. Afterwards, some fans alerted us to a big house party out in the suburbs. We all agreed it would probably be an interesting adventure, so we hopped in the van. It was pretty late when we arrived, and it was sure a strange scene. Outside in the front yard there was a grilled cheese cart/truck happening and we were all pretty hungry so figured, why not? By the time I got to the front of the line and ordered it became pretty clear the acid was just starting to kick in for the cook, and watching him attempt my grilled cheese was one of the most entertaining things I’ve ever seen. To his credit, it was delicious, though it could have easily been mistaken for scrambled eggs. Unforgettable night." "There’s so many fantastic places to eat in this city so it’s hard to pick one. One of my personal faves is the Fish House. Their sushi is great and their oysters are always perfect. They’re big supporters of the live music scene as well, and the staff are great."